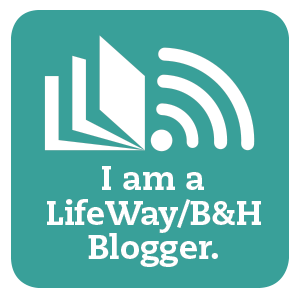 The title stared up at me from my hedua planner, "How To Recover From Homeschool Burnout" by Linda Johnson Something in my Spirit said I needed to read this. Personally.... honestly... we didn't even get into full-homeschool swing until about December... how could we be 'burnt out' already?? I read it because I knew there was something amiss. Something making me unsatisfied, temperamental, and searching for answers. I had prayed, especially as curriculum catalogs beckoned me and it is that time of year again... oh I prayed, "Lord, help me. 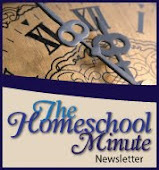 Show me what to do, you know what you want for our homeschool." It was a heart-felt prayer, yet one of those prayers you take for granted.... the kind you just assume goes at the bottom of God's checklist for Priority Prayers Today and maybe... just maybe... you will hear something, but truly you don't expect to. Like too many times in my life though, this was one of those prayers I didn't realize was being answered... and answered post-haste... until I was almost on the other side! Yes, How to recover from Homeschool Burnout launched me down an unexpected path when I answered "YES" to almost every one of Linda's direct questions regarding my potential burnout. I CAN'T try to copy someone else's idea of what is important for kids. I have to recognize what is important (and most of all) what is attainable for MY kids... and follow that. Even if it puts us in a boat farther from "normal". I have to hold schedules loose enough to allow learning outside the box but close enough that we don't get so distracted, NOTHING gets done!!! It is taking me f.o.r.e.v.e.r to get this one straight! The wildest thing about the last few days... that other-side-of-it view... unplugging from the school machine and REAL assessments with the kids at my side, eliminated half of my planned curriculum order prep!!! Classes and approaches I thought they would enjoy, in fact, were not at all appealing. God used my burn-out to light a fire of understanding in His desire and plan for our homeschool... now and in the school year to come. Oh how humbly grateful I am! Hello, my name is Amanda, I am recovering from homeschool burn out. I have been 6 days without grading a single paper and I have hope for all the potential grading and teaching ahead! I want to encourage you, out there, if you are feeling the burn too.... don't be afraid to step back, assess, talk, play, have fun.... what is REALLY so important that you can't? Do it for your sanity and do it for your kiddos. But most of all... do it at the feet of the Father who is waiting to guide you in rekindling. And don't be afraid to explore a return to learning that sets you outside the box!